The Deity of Longevity, Tsewang Rikdzin. 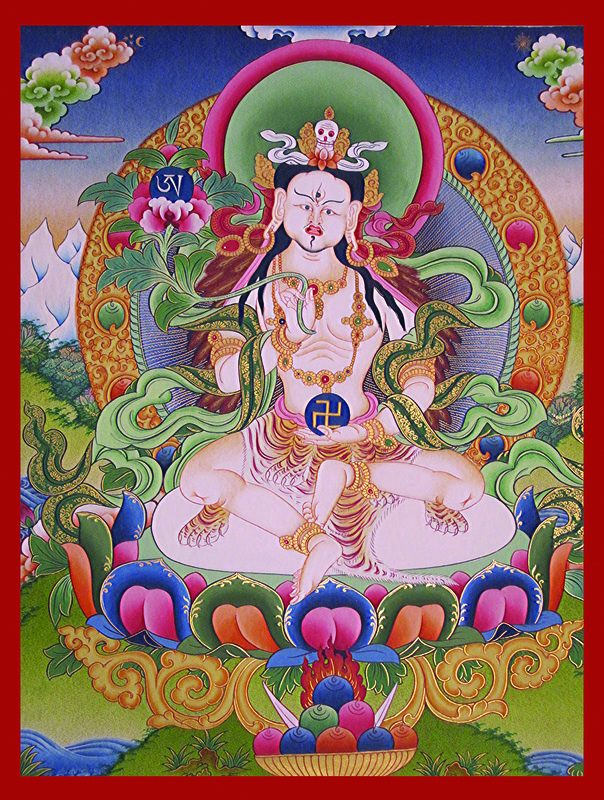 This longevity practice is one of the tantric practices classified in the Eighth Way among the Nine Ways of Bon. Among the Nine Ways of Bön, the Eighth Way is The Way of the Primordial Shen. This Way is focused upon higher tantric practices which are distinguished by having both a generating stage of practice and a perfection stage of practice. These two are based upon instructions for both method and wisdom. Although they are united as one in ultimate reality, in order to guide sentient beings, they are taught individually due to our bias towards duality and conceptuality. From this state of realization, mantra recitation and feast offerings are offered to the deities. To conclude, one receives the blessings and extraordinary qualities of the deities. From that, one abides within the state of realizing the phenomenal world and its activities as empty. This realization is developed and integrated into every perception, and the ordinary conditions of avoidance and attachment are liberated. Posted on December 17, 2017, in Uncategorized. Bookmark the permalink. 5 Comments. thank you,so beautyful and so helpful! very interesting and clear. If you read the book is very confusse. Thank you so much Raven. So clear! Thank you for the nice article. Beautiful thangka painting also.